We are being flooded by data. 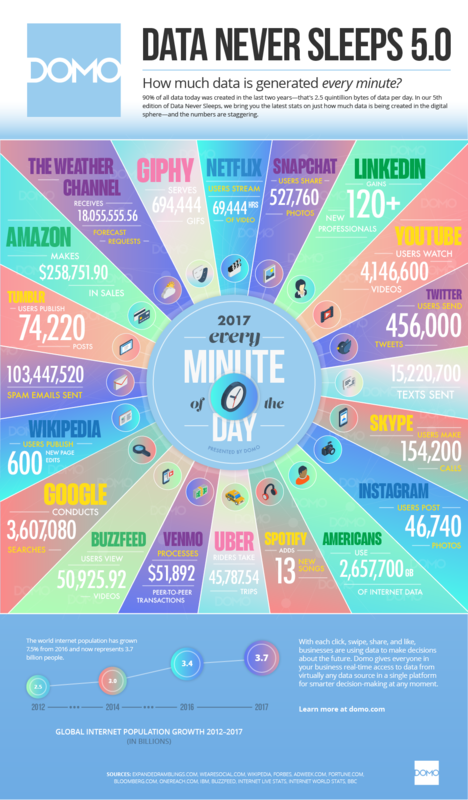 By one estimate, 90% of all data in existence has been created in the past two years, with business providing a growing share. For some, the data deluge can be daunting. But others, like GE’s Matt Wells, see opportunities, especially in manufacturing. “Many executives say data is the new currency because of all the potential value to be unlocked from it,” says Wells, vice president of product management for GE Digital. “But while most businesses are great at generating data, they’re not great at collecting it, analyzing it and putting its insights into practice.” Right now, some 70% of manufacturing data that’s created simply washes away. Wells is working to change that. On his latest project, he and the GE Digital team are working with consumer packaged goods giant Procter & Gamble, which has long been keen on wringing insights from data that can help improve its manufacturing processes. As this collaboration unfolds, P&G will become the first company to roll out a new system from GE called Predix Manufacturing Data Cloud, or Predix MDC. The cloud-based system allows P&G to gather data in real time from dozens of factories around the world, searching it for insights to make manufacturing processes faster. Wells says GE plans to make Predix MDC widely available to manufacturing companies in other industries by the summertime. P&G is already using GE Digital’s Plant Applications manufacturing execution system (MES). GE’s MES software, relied on by thousands of companies around the world, uses the industrial internet of things to optimize manufacturing machines and processes at individual plants — in short, to make them smarter, which the consulting firm Deloitte says has become an important way for companies seeking a competitive advantage. In fact, about two-thirds of businesses in industrial manufacturing have some form of smart-factory initiative that can enable them to more swiftly respond to customer requests, market demands, and product maintenance and updates. Predix MDC, which will be made widely available to manufacturing companies in other industries by summer, allows P&G to gather data in real time from dozens of factories around the world, searching it for insights to make manufacturing processes faster. Images credit: Getty Images. Predix MDC does much the same as a manufacturing execution system. But it works on a global level, providing management with individual factory insights while also aggregating data across locations and business lines. MDC goes beyond analyzing data, though; it helps improve operations too. Right now, a typical smart factory will generate and store its reams of data locally — eventually leading to lag times in accessing the data and transferring it between machines, physically slowing down production. Think of your annoyance when your smartphone is a bit sluggish to open up your photos. Now imagine you’re running not just an app but an entire production line. The Predix MDC software speeds up manufacturing by shunting to the cloud what’s called cold data — historical information that has analytical value but isn’t needed for that day’s production. The hot data — required information — stays on-site, while still being backed up to the cloud. As a result, the speed of a manufacturing facility’s data processing is improved by 50%, according to Wells. The cloud environment also lowers factory-level data storage costs, while predictive maintenance enabled by the system helps reduce downtime. Additional benefits come from having a complete data history of product manufacturing off-site, which is useful for regulatory, compliance and auditing needs.